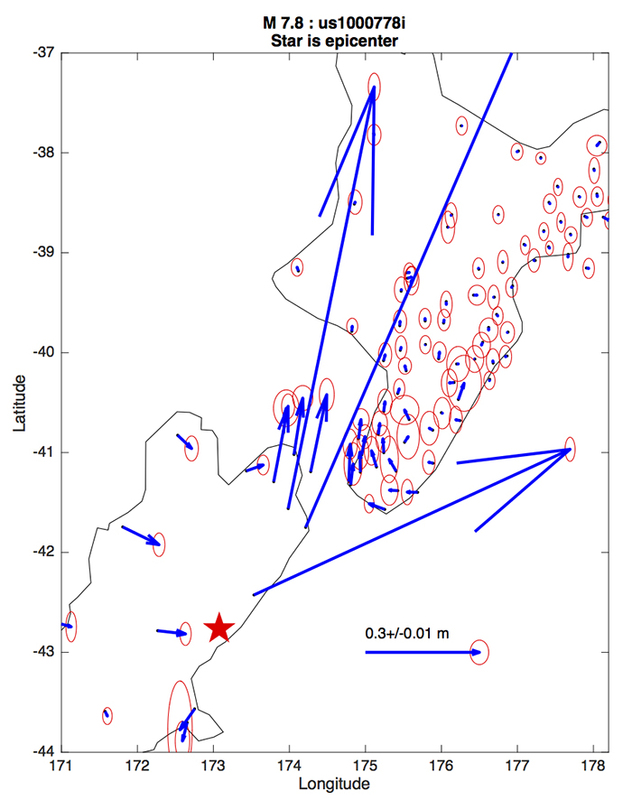 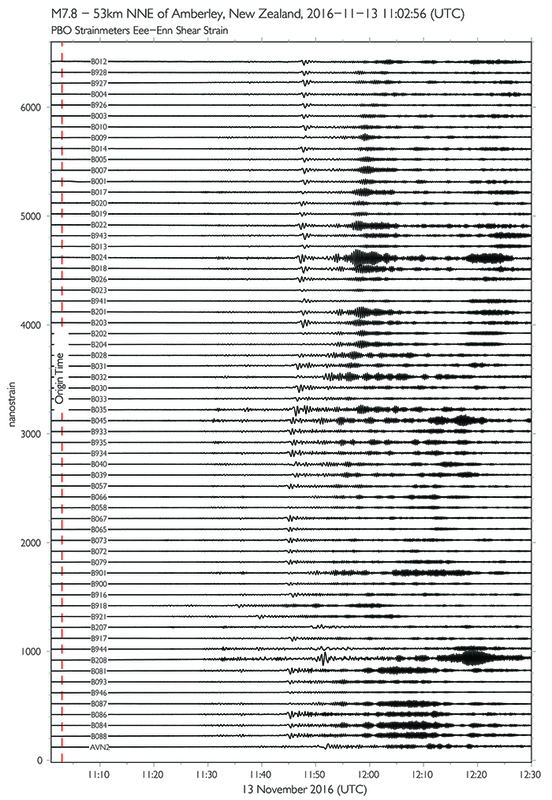 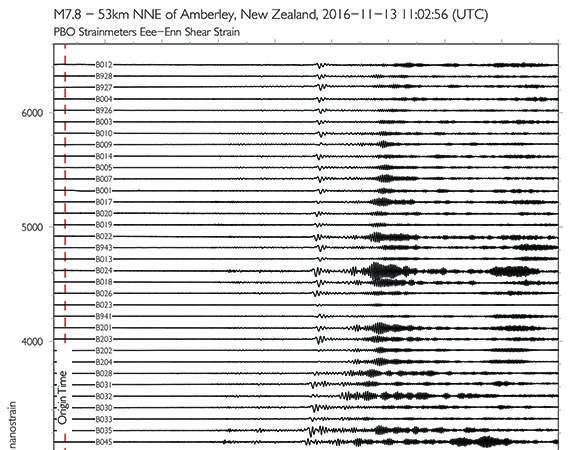 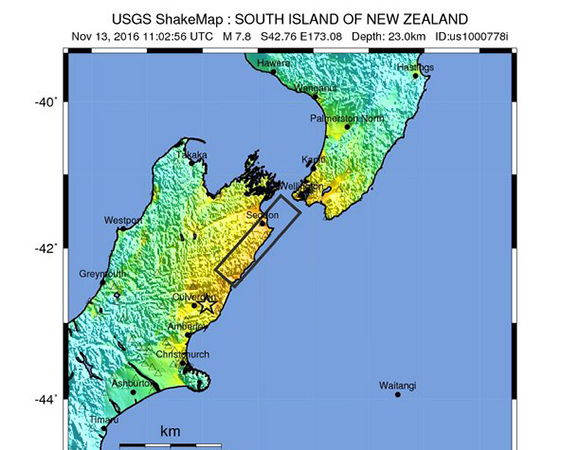 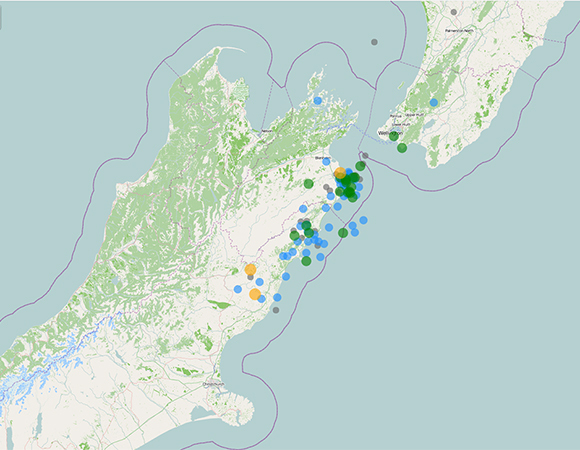 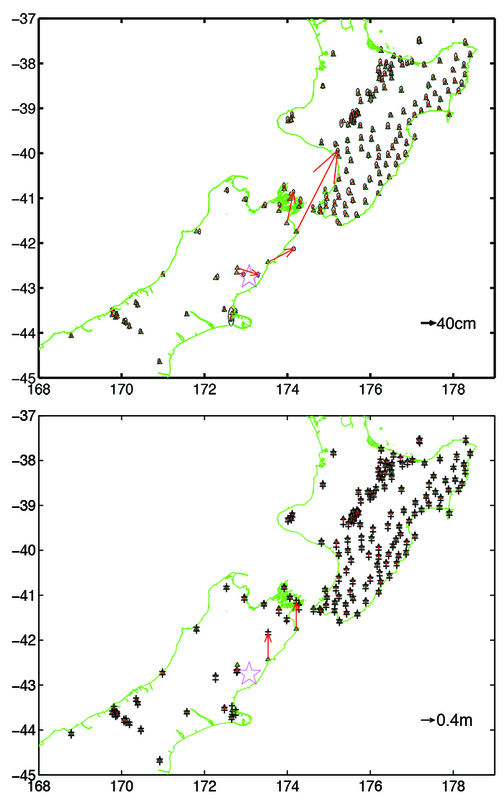 The November 13, 2016 M7.8 earthquake in North Canterbury, New Zealand, occurred as the result of shallow oblique-reverse faulting on or near the boundary between the Pacific and Australia plates in South Island, New Zealand. 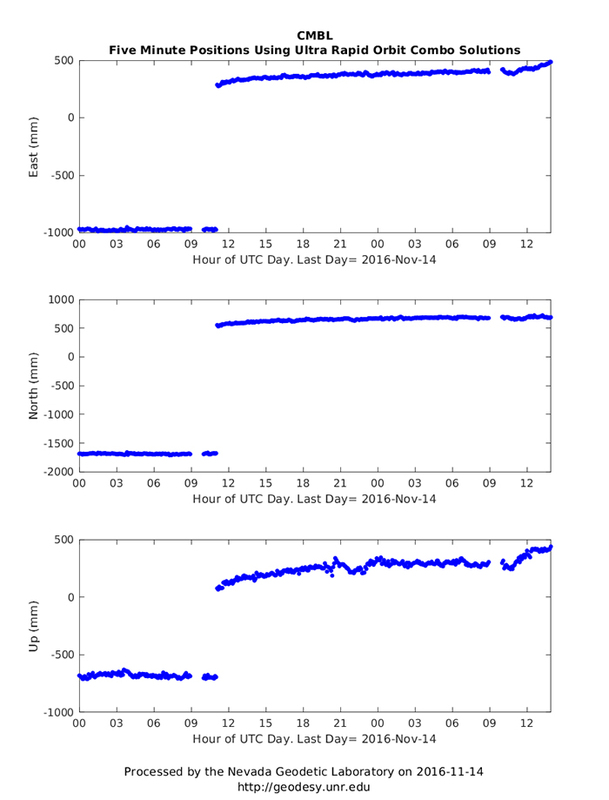 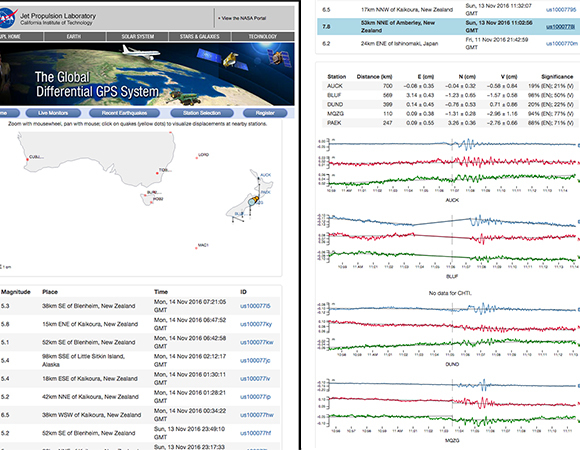 NASA's Jet Propulsion Laboratory (JPL) produces real-time GPS results for IGS stations, available via https://ga.gdgps.net/archived_performance.php. 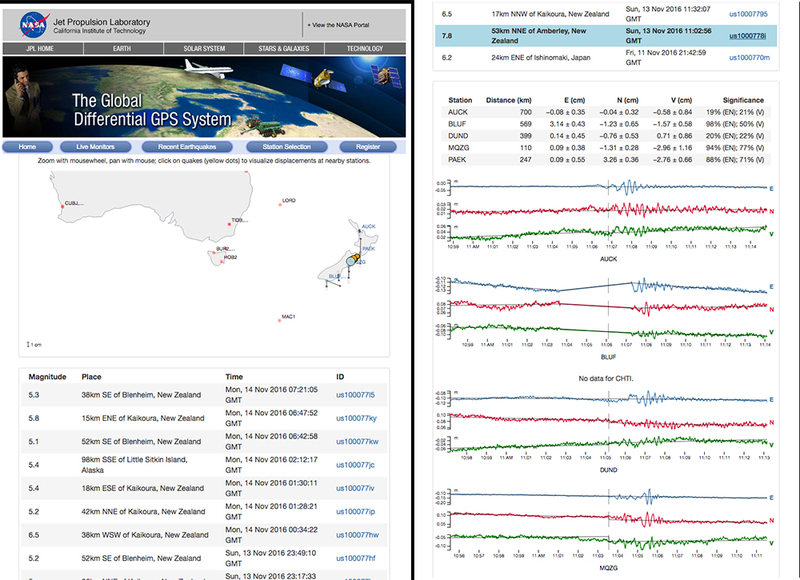 The Advanced Rapid Imaging and Analysis (ARIA) Center for Natural Hazards is posting rapid and refined displacements. 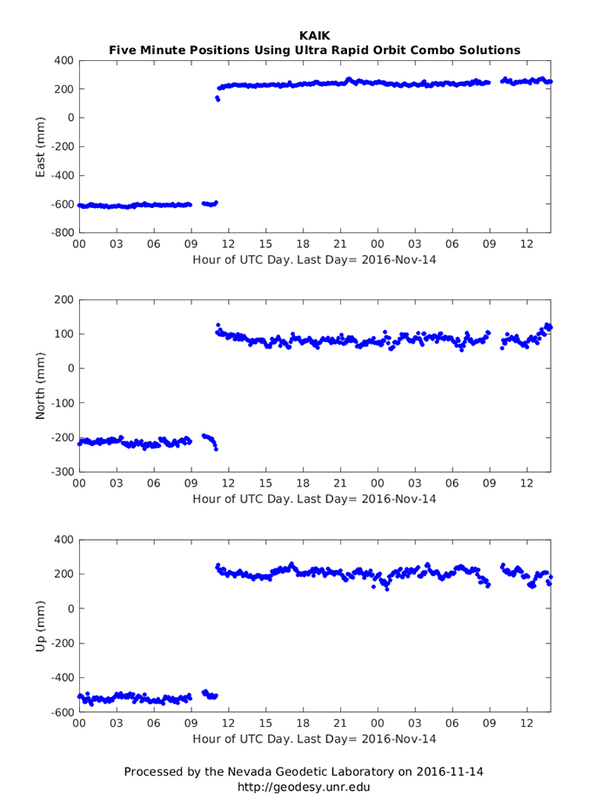 The Nevada Geodetic Laboratory produces rapid GPS/GNSS time series for all available GPS data, globally. 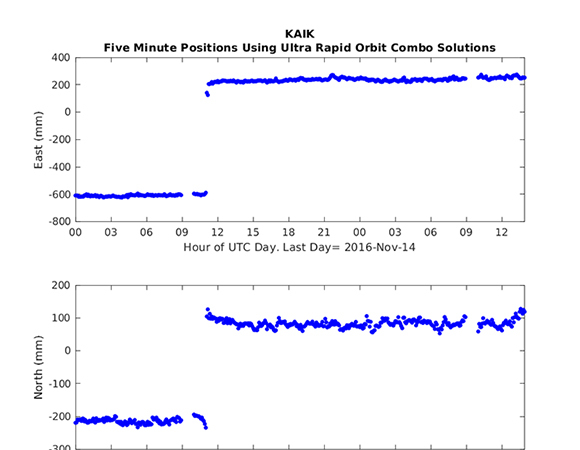 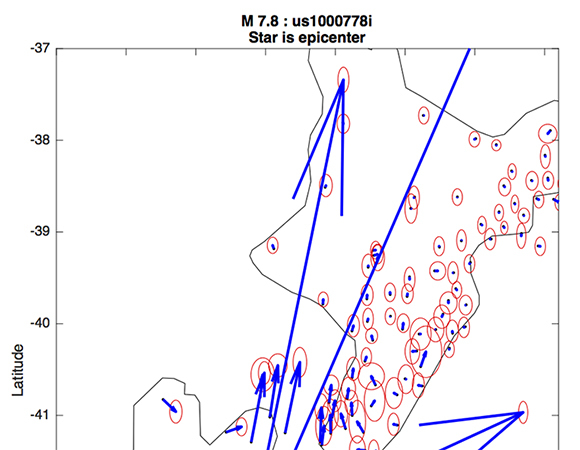 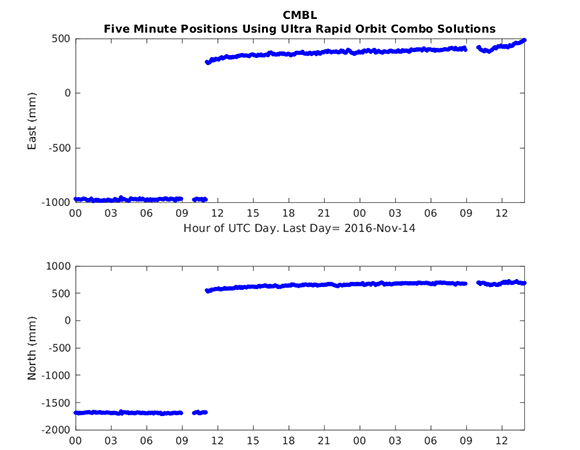 The ultra-rapid GPS plots of five-minute solutions automatically update every hour. 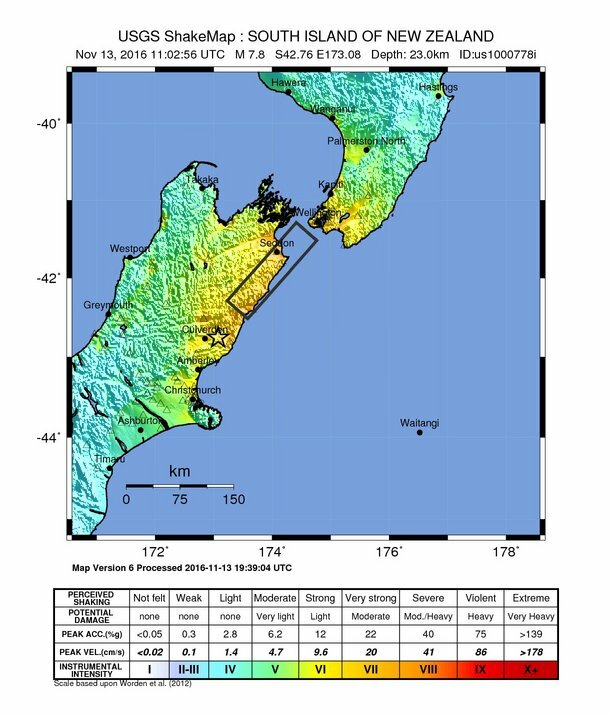 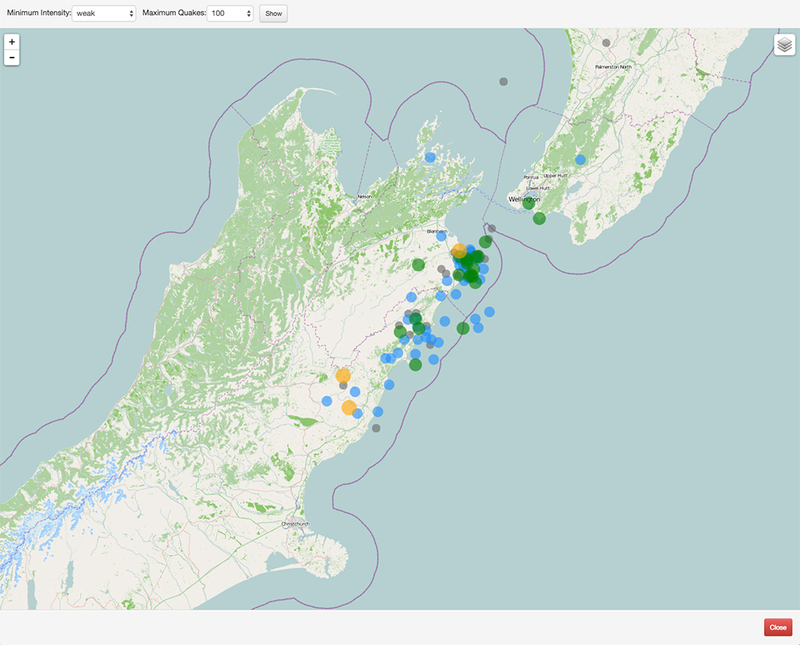 For New Zealand, this includes data from IGS stations and also a much denser data set from networks maintained by Land Information New Zealand (LINZ) and GeoNet.